"You sunk my battleship!" Who hasn't said that at least once? I didn't own this game myself as a kid, but I definitely played it with my friends more than once. I love how you need to have a strategy as you play this game, and that it's not *all* luck. This is another game that kids as well as adults will enjoy playing, but because of the small pieces it should only be played by kids 7 and up. We definitely don't want anyone swallowing the little red and white markers! Also, like Connect 4, you can only play with 2 players, so this isn't really a game for the *whole* family to play at the same time. In case you've never played, the object of this game is to destroy your opponents fleet before he/she destroys yours. You call out a coordinate (like F-7) and see if you hit anything on your opponent's field. You can then use that information to plan your next hit. In the mean time, your opponent is doing the same thing. Once someone knocks out all 5 ships in the other person's fleet, he/she is the winner! Now it's time to be the commodore and play! 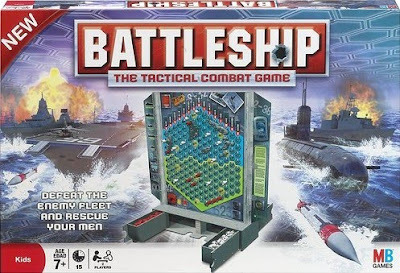 Win Battleship ! There will be 3 winners!!! First, you need to publicly follow this blog and/or subscribe on Google Reader. 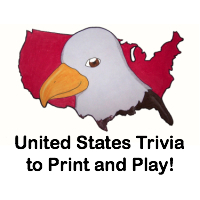 Then comment here and tell me which branch of the military is your favorite. 8) Click here to Kirtsy this post and comment to receive 1 additional entry. 9) Subscribe to The Twinners emails and comment here after you've confirmed your subscription for 1 additional entry. This giveaway will close on May 1, 2010 at midnight. I follow and I like the Marines! My favorite branch is the marines! although they don't wear those cute uniforms they used to.. I am following your personal blog. I voted for you (gave ya a thumbs up) Btw, I was in the Marines and I love the Marines!! My favorite branch has to be the Navy! I follow your blog and I'll say Marines! Thanks! I'm your brand new Facebook fan! I follow your personal blog! I follow on Network Blog! I voted for you on Top Mommy Blog! I voted for you on Top Baby Blog! I voted on Top Mommy Blogger! I entered to win a Connect 4 Game! I follow your blog "Elana's musing"
I don't have much experience with anyone in any forces, but I would have to choose the Marines. I've had family members and close friends in both the Army and the Air Force, so it's a tie for my favorite. favorite branch is the Army--- 10th mountain division!! I entered the Hi HO Cherry O giveaway!